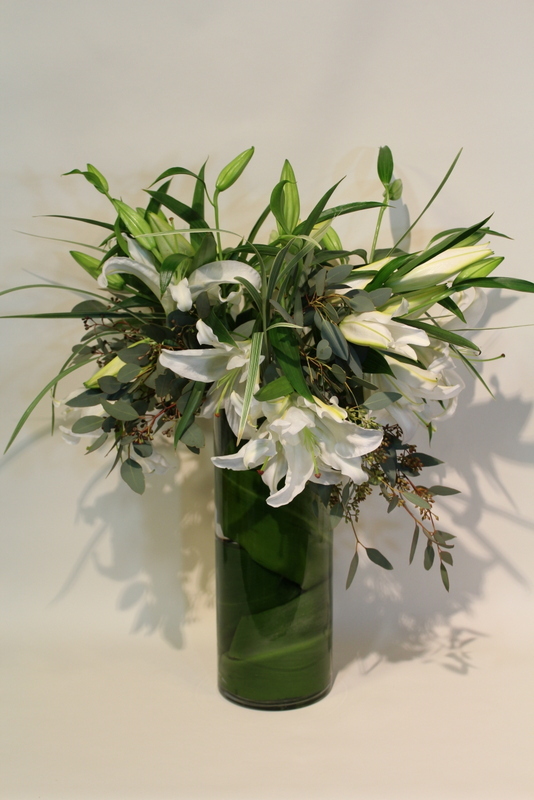 This arrangement is made with 10 Stems of White Oriental Lilies, Seeded Eucalyptus, Lily Grass and Leaf Wrap in a 14” Tall Clear Vase. This will bring tranquility to those who need it. Please write message in box.